The Golden Arches. They are instantly recognizable, aren’t they? Pretty much everyone, no matter how old or how young, whatever language they speak, they recognize that iconic symbol and know precisely what it is, all across the world. Wherever you are, you recognize McDonald’s. The logo, their catchphrase, their font, the names of their food. That’s what you should be aiming for with your blog (or whatever business you run or own). 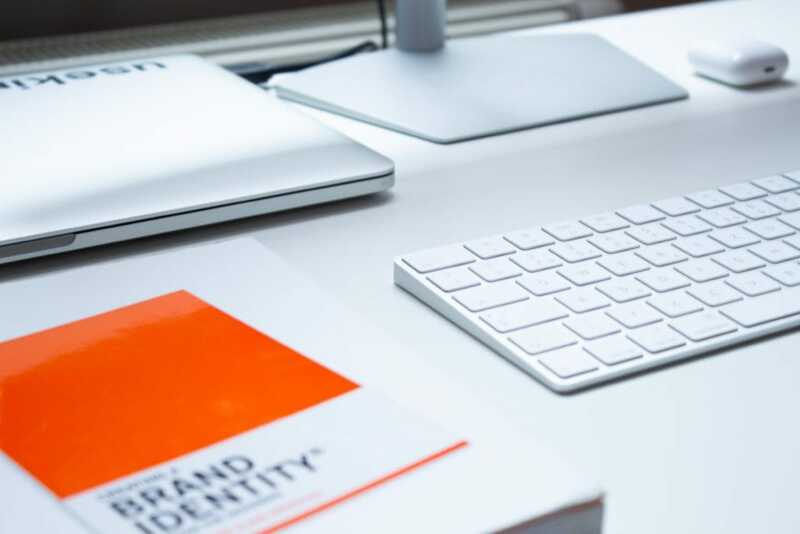 Branding your blog will make it instantly recognizable to your audience, and will hopefully encourage them to see you as the expert and the best choice over your competition. It will also help to make you appear more credible, connect you and your audience emotionally and seamlessly, make readers want to buy into your brand and invest in you and your content, and carry your message. Great branding should be a reflection of who you are as a blogger and a business, and what resonates with your ideal reader and blog visitor. It will help you to get your message across to your readers. Where to start. The first thing you need to do is identify your audience. Without this, there is next to no hope of getting that branding right. You need to be familiar with who they are, what they want and what will turn them off. Once you have got that sorted, you need to decide on the message that you want to put across to your readers. Your blog name: Does it reflect who you are and what you are about? It is possible to change your blog name in the future if you grow out of it, or change direction, but it can be costly in terms of losing your domain authority (DA) and building up rankings. Your URL: Have it as close to your blog name as possible, and if possible, buy all the domains linked to it (.com, .co.uk, .net, etc). Again, it is possible to change in the future but can be a challenging process. Logo: Before you pay for someone to design your logo, or before you sit and spend hours playing on Canva or Photoshop, brainstorm the color scheme you want for your blog. Use those colors in your logo, to tie it all together and allow people to connect it to your site instantly. Tagline: Having a tagline immediately gives a context to your blog, and a peek into who you are as a person. For example, the tagline for The Good Men Project is ‘The conversation no one else is having.’ This draws readers in to find out exactly what the conversation is, which you can find out more about on the About Us page of the website. As a side note, a detailed About Me page is always a good idea as it gives you a chance to introduce yourself to your readers and talk about why you set up your blog or your biz. Header: This is the image that you see when you look at the top of your blog or biz website. Keep it simple and clutter free, and try to use it across your social media pages to keep it consistent for your brand. Blog theme: Whatever platform you use for your blog, there will be hundreds of different themes for you to choose from, and if you are particularly smart with coding and website design, you can build your own to your exact specifications. While there may be other people using the same theme as you if your purchase a commercial one, there are countless ways of personalizing it and making it your own, from the font style to the color. Check how cluttered your theme is – if it has lots of features and interactive things going on, it might look good but be very slow to navigate for your readers. This can also affect how highly Google ranks your blog. You also need to make sure that it is mobile compatible, as a high percentage of your readers will be visiting your blog from a mobile device. Your voice: This is the most critical part of the branding process. Your voice needs to be unique. Sometimes it takes a while to develop your voice and refine it, but once you’ve found your groove, stick to it. It needs to reflect who you are as a person and resonate with your readers. If it doesn’t, they’ll soon click away. Think about the language you are going to use – is it informal, fun and friendly, or are you wanting to convey a more serious and professional message? Whichever style you choose, be consistent and carry it through to your social media posts as well. Photographs: While not everyone is a professional photographer, you should aim to be making your photographs as aesthetically pleasing as possible. Many people are turned off from blogs with poor quality photos, or none at all. If you can, keep your style of photography, or the use of stock images, consistent, although we do recognize that it may evolve over time. What you don’t want is for people to read a post and see photos, click to an older post and wonder if they are on the same site. Merchandise: Merchandise is an excellent way to brand your blog and get people noticing you. This may start off with you, or the other founding members using branded coffee mugs, travel cups or even phone cases. As your popularity grows, you could offer your readers things like pens or pin badges – a badge maker can help you to design the perfect one for your biz. When people see them, they are likely to ask about it, giving you the ideal opportunity for discussion. As you can see, creating a brand for your blog or biz involves many different factors. By planning it and getting it right from the very beginning, people will soon recognize you and the message you are attempting to convey.